Netherlands is the world centre not just contemporary dance, but also contemporary ballet. Theatre Ballet Moscow follows tendencies and invites for collaborative work the brightest Dutch choreographers. The last season contemporary dance performance OP-ART has become the result of such collaborative work. 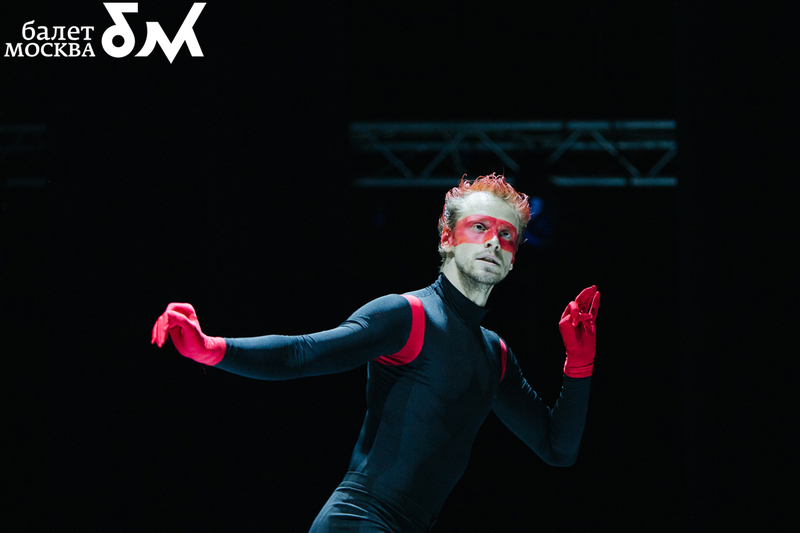 In 2014-2015 season Moscow audience will see the main premiere of the year – two collaborative productions of theatre’s classical cast staged by headliners of new Ditch choreography – Annabelle Lopez Ochoa and Juanjo Arques. Both choreographers began their careers as dancers – Annabelle in Scapino Ballet (Rotterdam), Juanjo in Netherlands National Ballet (Amsterdam). Later they were invited by Ted Brandsen, the director of The Dutch National Ballet, and have had the opportunity to stage their own productions as choreographers on the Het Nationale Ballet. Thanks to these works Annabelle and Juanjo became famous and popular in Netherlands, and after a while – in other countries. They formed as professional dancers and choreographers in Netherlands, and you can see it in their creative method. Young, progressive, unordinary they realise what dance can and must be in our fast changing world. Annabelle Lopez Ochoa and Juanjo Arques – classics of tomorrow. They rapidly soared to the dance Olymp, and today you can see their productions performed by the leading dance companies. Among them also performed by Theatre Ballet Moscow artists. For working with Theatre Ballet Moscow Annabelle and Juanjo addressed to Ancient Greek legends and myths. Ancient Greeks value in person trained body, supple mind and tendency to the beauty. Their opinions – particularly esthetic – Greeks defined in myths. And these myths still give us exact answers to eternal questions: what is love? what is the meaning of life? where our destiny leads us to? Minos is an awful monster with the bull’s head and human’s body, born by Minos’ wife on Crete. To hide his shame Minos ordered to build underground palace-labyrinth with tangled crossing from where nobody can find his or her way out. In the centre of the labyrinth Minos hide his son-monster Minotaur. 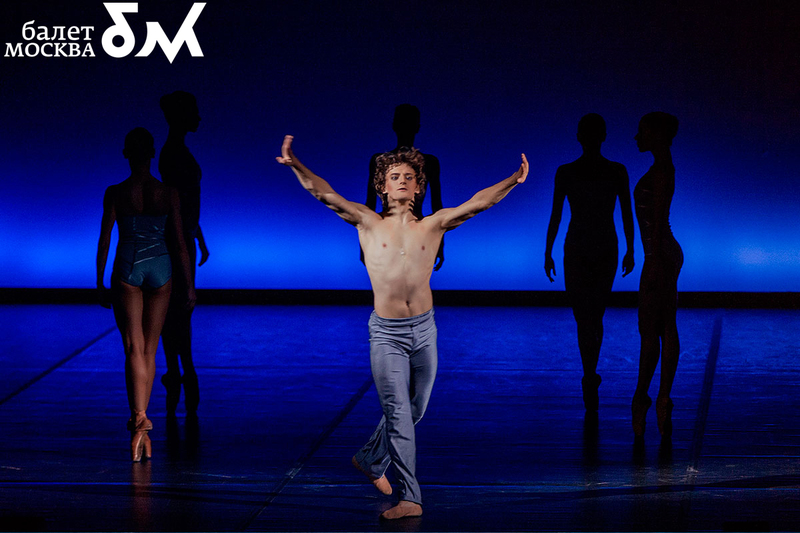 Choreographer Juanjo Arques was inspired by symbols filled this myth. Here is Areadne’s clue – in costumes, in movements of hands and legs. Stage which is labyrinth where dancers go towards each other. Dark-blue, light-blue, brown in female costumes resemble waves of Mediterranean Sea which come to Crete’s shore. In Minos ballet Ancient Greek legend is filling with wind, sea smell and it is reviving due to strong dancers hands. Very long time ago man and woman were attached by their backs as one creature with 4 arms, 4 legs, one head and two faces. They have a real power. They astonish by their beauty and and harmony. Zeus, the uppergod separated them out of fear for their power. Since that day, people run around saying they are looking for their other half. And Eros helps them with it. That’s the myth mood and motive of which penetrates “Eros Redux” staged by choreographer Annabelle Lopez Ochoa. Penetrates like sunshine penetrates curtains on the windows, turning room into mystery grotto. The ballet “Eros Redux” is a dream about beauty, power and harmony. That’s not love, but it’s the first step to it.